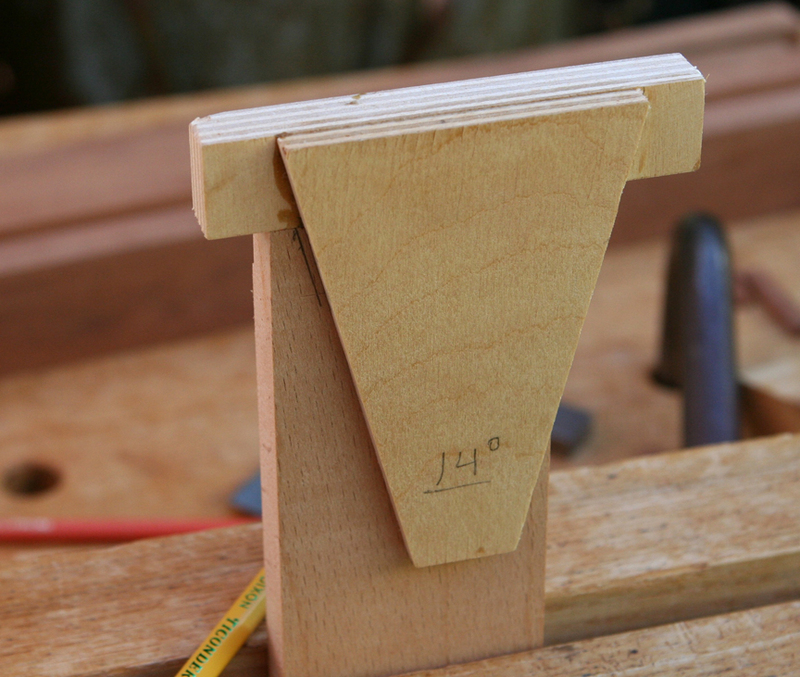 Align tail board with the pin board, typically a drawer front, then mark with knife. 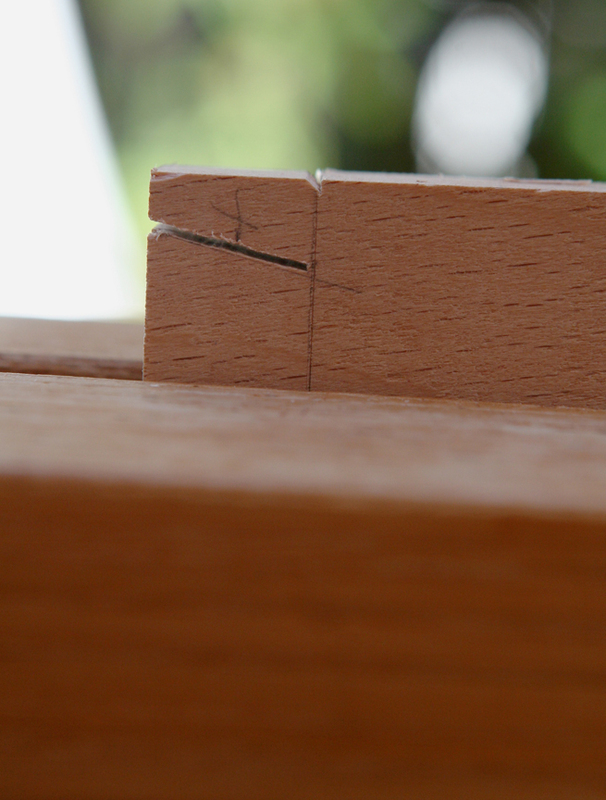 A visitor to my shop was asking about techniques to create half-blind dovetails so I took photos of the step-by-step. There are many ways to achieve that joint. This is just one approach. 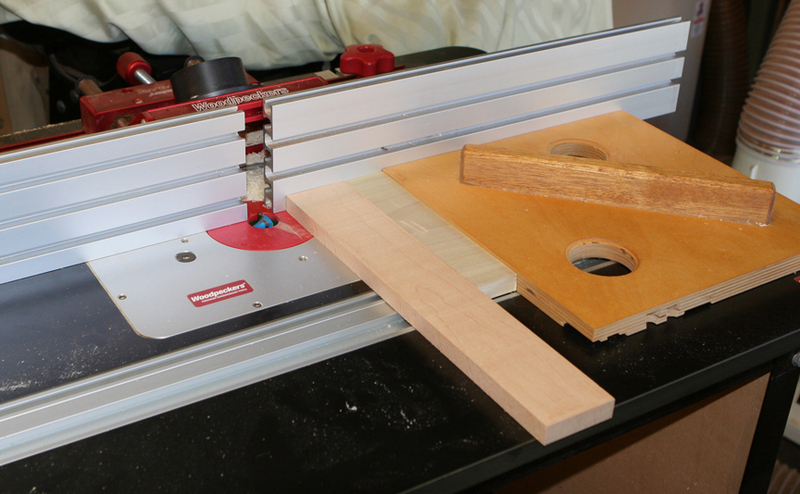 A shallow (<1/16 inch) rabbet is cut at router table. The push rig allows safe handling and to keep a narrow workpiece perpendicular to the fence. An extra waste board is used here because the rig is pretty well chewed up. 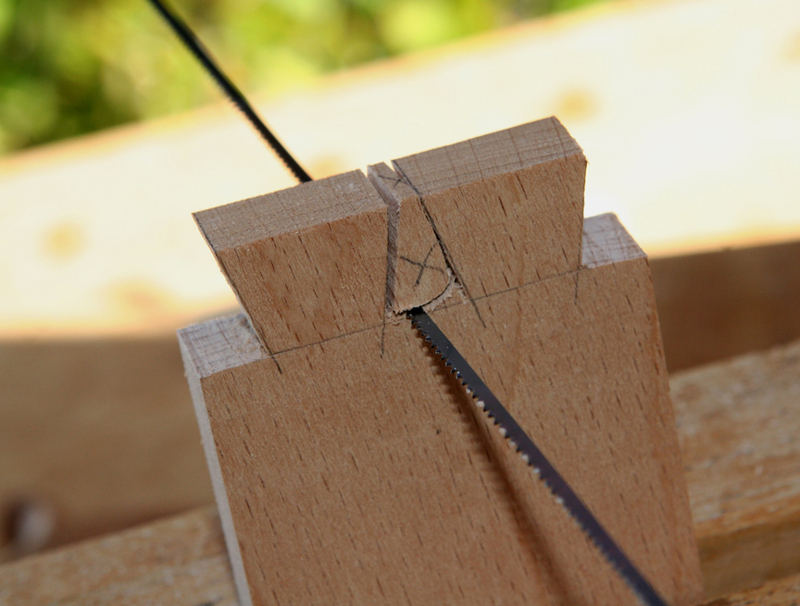 The pin board is then placed tightly against the rabbet and length of tail marked with knife. 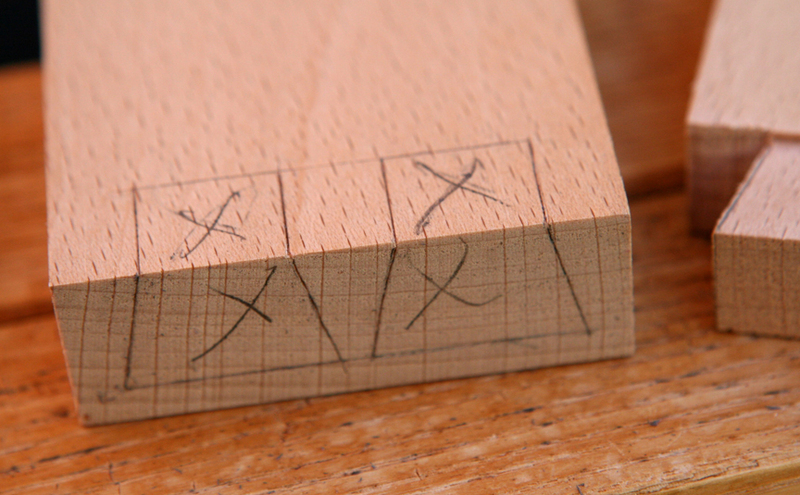 After marking the side opposite the rabbet with marking gauge, the tails are drawn with a shop-made template. 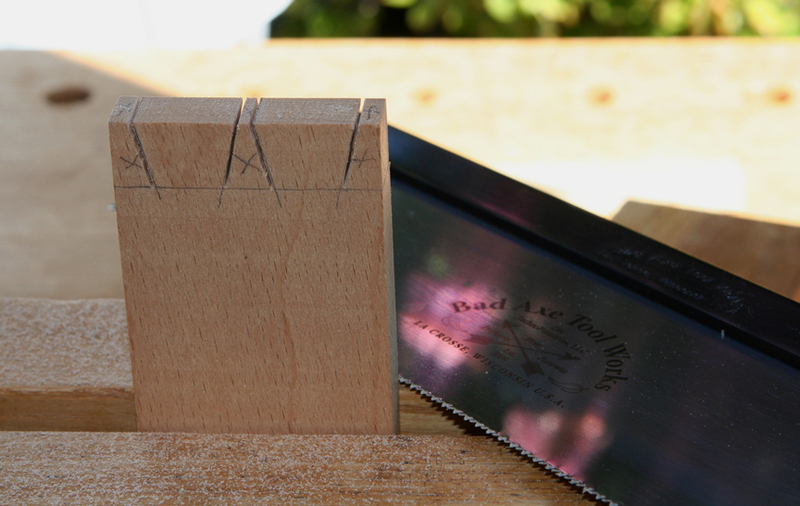 Usually I use a bevel gauge for this. 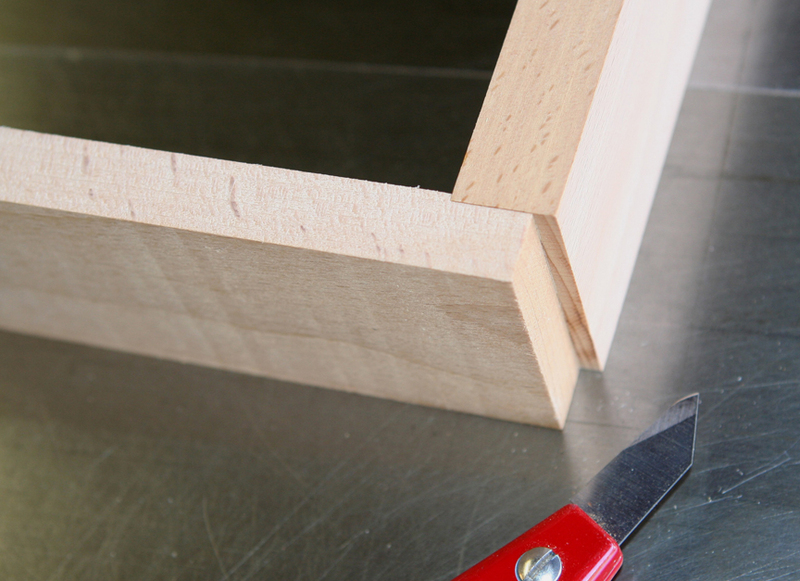 The template used in the photo is 14 degrees, which is greater than typically used for drawer construction. 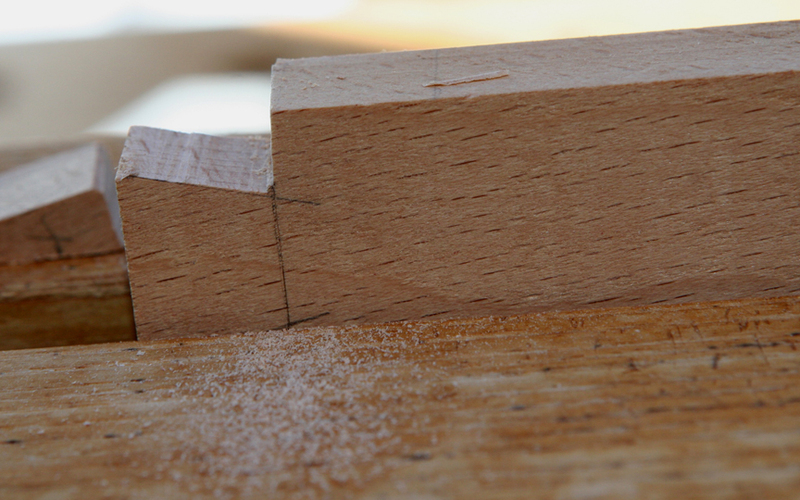 A backsaw cuts along those lines down to the knifed line. 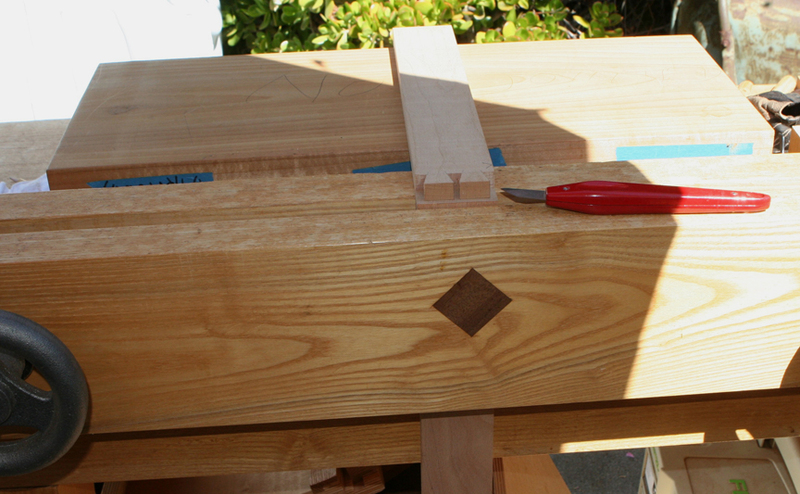 With the board in the Moxon vise, a chisel creates a small notch to guide the backsaw. The bowsaw with thin blade is used to remove interior waste, staying away from the knife marks. 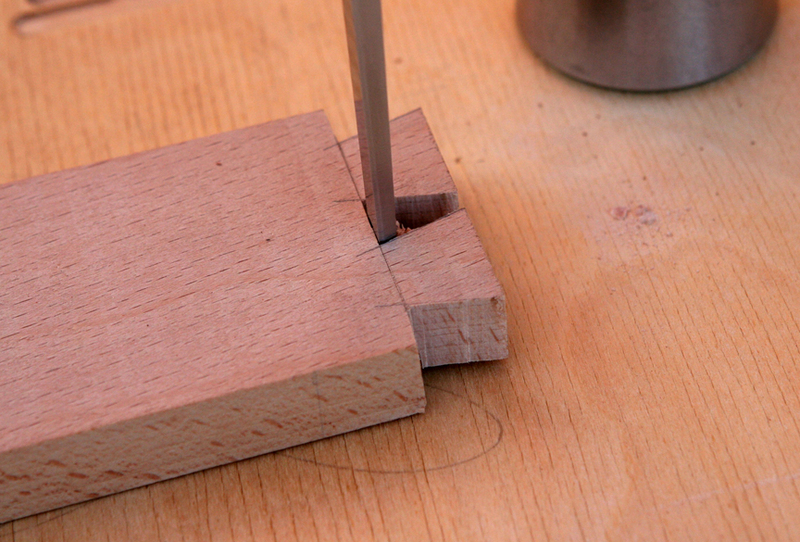 Chisel to the marks and place the tailboard against the pin board for marking with a knife. Pencil marks indicate material to be removed. With larger projects it is easy to become confused so I am in the habit of using a large X to indicate waste. Next up: creating the dovetail sockets. Well done Tom. This really helps. 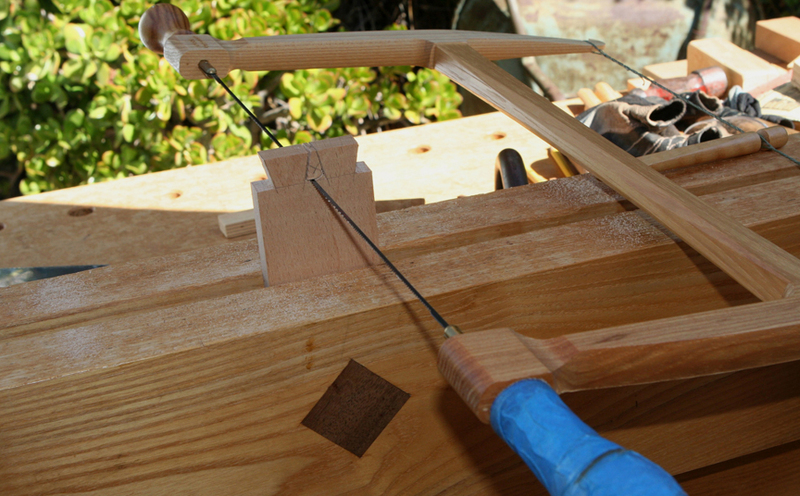 Question: are you using the Veritas marking guage? 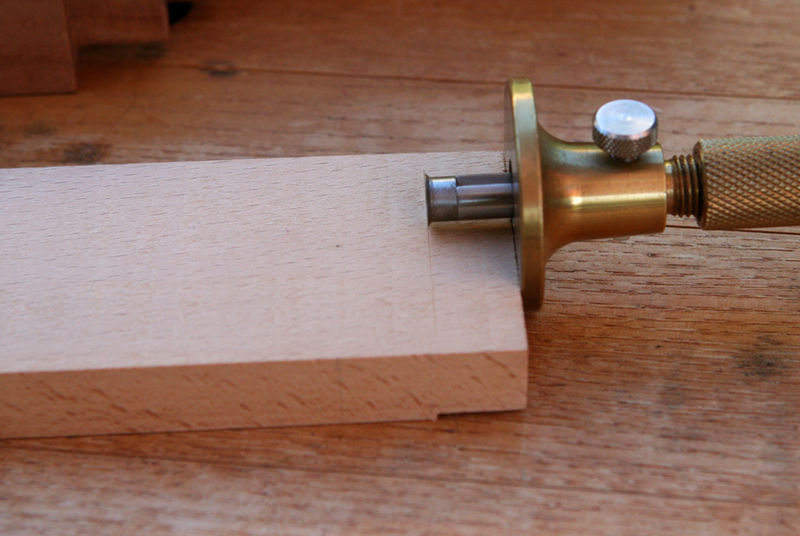 I have a Veritas marking gauge, but found it did not hold its setting as well as I would like. And the micro-adjust not great execution (they may have improved it since I bought mine). 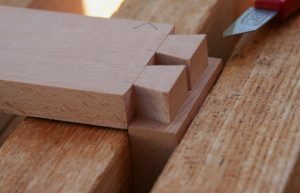 I’d highly recommend the Tite-Mark from Glen-Drake Toolworks, http://www.glen-drake.com/Tite-Marks/.